At a time when jazz bandleaders from across the musical and generational spectrums regularly lament the difficulty of keeping a band together, it's all the more remarkable that a supergroup like One For All has stuck it out for twenty years. But the impeccably swinging sextet, made up of some of the most in-demand players in modern jazz, is not just celebrating past achievements but charging forward into the future. The title of their latest album, The Third Decade, sounds a confident note marking the dawn of the band's next chapter. "We're very optimistic," says pianist David Hazeltine. "We're all serious musicians who are dedicated to preserving that swinging feeling, so this band will always be together." One For All's 16th release is its first in five years and the first in its history to feature original compositions by all six members. 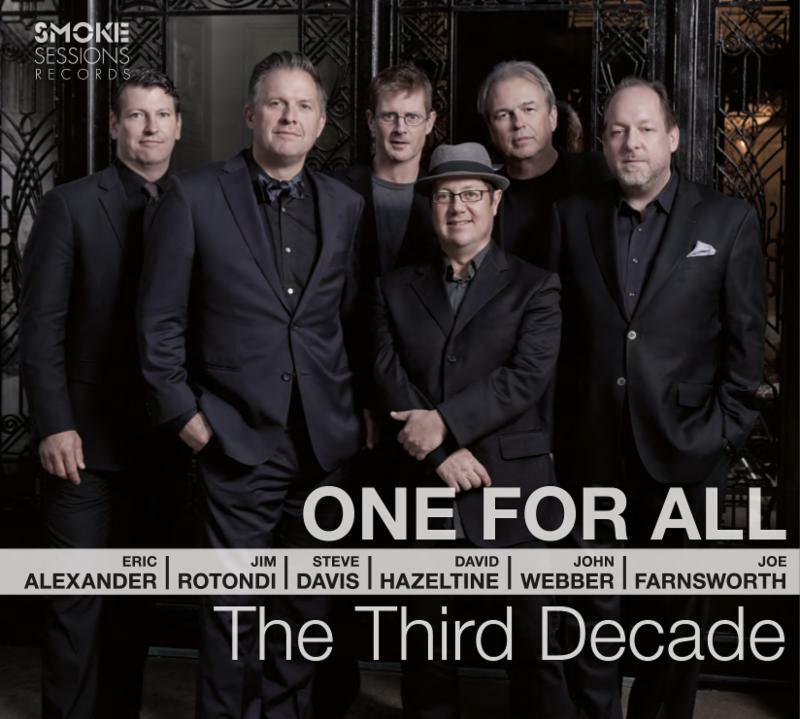 The Third Decade, available now via Smoke Sessions Records, brings together once again tenor saxophonist Eric Alexander, trumpeter Jim Rotondi, trombonist Steve Davis, pianist David Hazeltine, bassist John Webber, and drummer Joe Farnsworth. As always, the fiery and soulful musicianship is only matched by the warmth and spirit that results from a lifetime of musical friendships. That camaraderie is captured by the band's name, which was taken from the final studio album by Art Blakey's Jazz Messengers; which itself featured a title track penned by Davis. The band was thus founded with a sense of continuity with the past along with the focus on torch-passing renewal that Blakey always expounded. As Alexander puts it, "It was always our goal to write and arrange music in such a way that we didn't sound like a cover band for Art Blakey or Horace Silver or any of the other classic sextets that have made such indelible marks on modern jazz music. I think we've done a good job of achieving that objective. One For All has brought out aspects of each of our musical personalities that we didn't know we had, or at least that we hadn't explored in a very in-depth way prior to the band's founding." 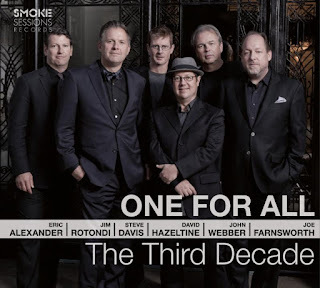 The release of The Third Decade on the Smoke Sessions label is also a significant homecoming for the sextet, which initially came together on the stage of Smoke's predecessor, Augie's. Smoke has remained an important hub for the band since, as well as being the site for the recording of its 2001 release Live at Smoke.